Greenup Raney was born on August 7, 1846, according to an entry at Find-A-Grave (and his grave stone), although he could have been born anywhere from 1847 to 1849, based on various records. It appears from an 1860 census record that his mother was named Celia and he had a brother James who had been born around 1852. Greenup was eleven in 1860 on the 21st day of July. Greenup’s father, however, is a mystery . . . and I’m not the only one scratching their head on this one. I came across several posts asking for information on Greenup’s father. For now, that remains a mystery. Just as mysterious is what happened to Celia. 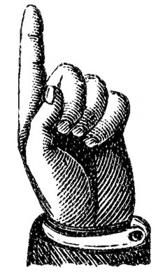 After the 1860 census when she was enumerated as the head-of-household with two sons, she disappeared. She was a thirty eight year-old day laborer in 1860. Her name doesn’t appear in the 1870 census records, but a reference to her apparent demise is referenced on Greenup’s marriage record. There is a record indicating that a Greenup Raney enlisted in Company B of Kentucky Hall’s Gap Infantry Battalion on April 16, 1865 in Stanford, Lincoln County, Kentucky. General Robert E. Lee had surrendered to General Ulysses S. Grant exactly a week earlier in Virginia. Greenup’s service was short-lived, mustered out on July 27, 1865. Although his military service was brief, he applied for a pension on July 26, 1890. I suppose it’s also possible this might have been Greenup’s father and he was named after him, but records for anyone named Greenup Raney seem to all point to today’s subject. It appears the entire family remained in Pulaski County, the children also marrying spouses from the area and raising the grandchildren of Greenup and Martha there. Greenup, who went by the shortened name “Green” was a farmer. 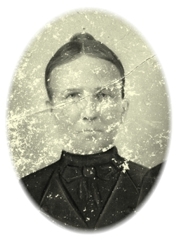 In 1900 four of their children remained in the home (Emmaline, Parlee, John and Mattie). Emmaline married later that year. By 1910, their nest was empty. Greenup passed away on September 12, 1912 and was buried in Goforth Cemetery in Pulaski County. The grave stone appears to have been “homemade” and the date of his birth is listed as August 7 ,1846. In 1930 Martha Ann was living with her daughter Emmaline and her family, and this appears to be the last record available for her. While researching this article, I came across a lot of males named “Green” in Pulaski County. It seems to have been a popular name. I found one other Greenup (Jones), but maybe like Greenup Raney he went by just “Green”. Not sure where the name came from but there is a Greenup County in northern Kentucky. The most interesting “Green” name, however, was Green B. Rash (the “B” may be as in “Berry” – I’ve seen some other Kentucky men named Green Berry or Littleberry). It seems that Green Rash served with some of my kin (a Stogsdill cousin or uncle) during the Civil War – their names are listed on the 1890 Veterans Schedule in the same company. In my research I came across more names from my own family. 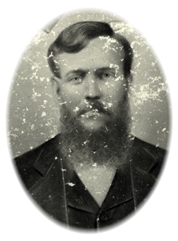 William G. Raney’s second marriage was witnessed by two people named Sears and Stogsdill (surnames both in my line). So, who knows – as thick as folks in that part of the world were, I might be related somehow to some of these Green fellows. Greenup Raney is my 3x great grandfather. I would love any additional info that turns up on this topic.